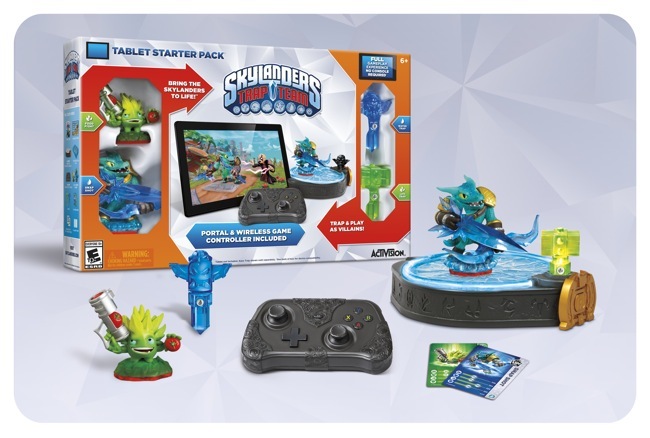 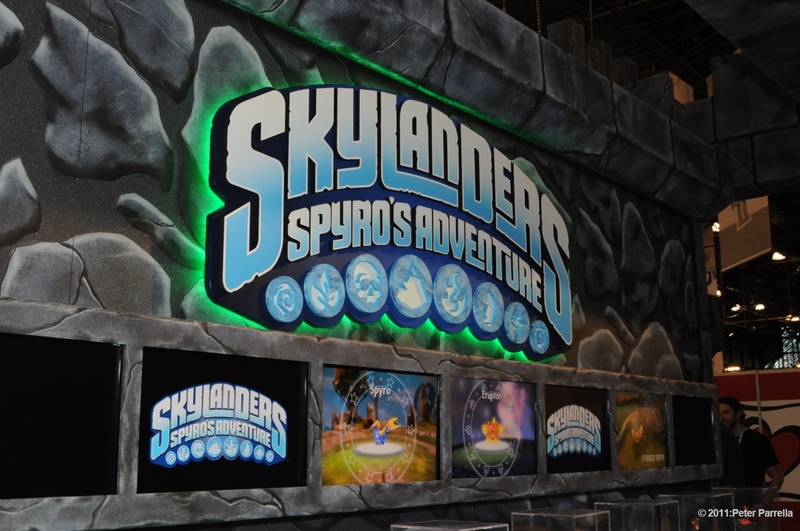 Last year I reported from Toy Fair on the then still to be released “Skylanders: Spyro’s Adventure” toy-based video gaming experience. 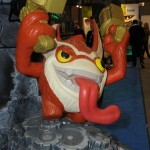 Since it’s September 2011 roll-out, the game has become a run away success and a holiday sell-out for the Acitivision company. 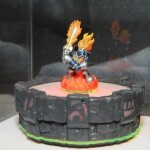 It certainly was an impressive enough concept to ensure a place on the must buy Xmas list for my young nephew. 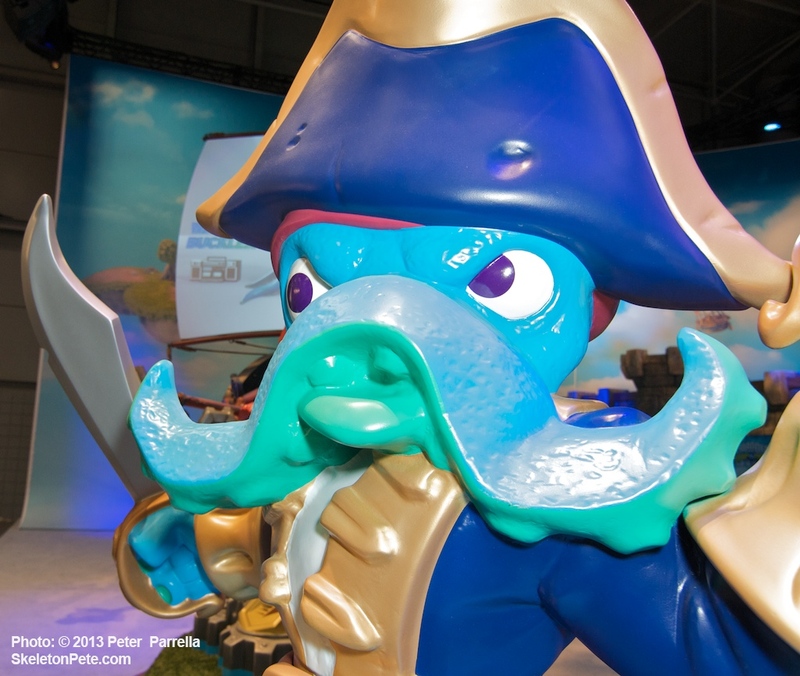 If you missed what it’s all about you can get an overview here. 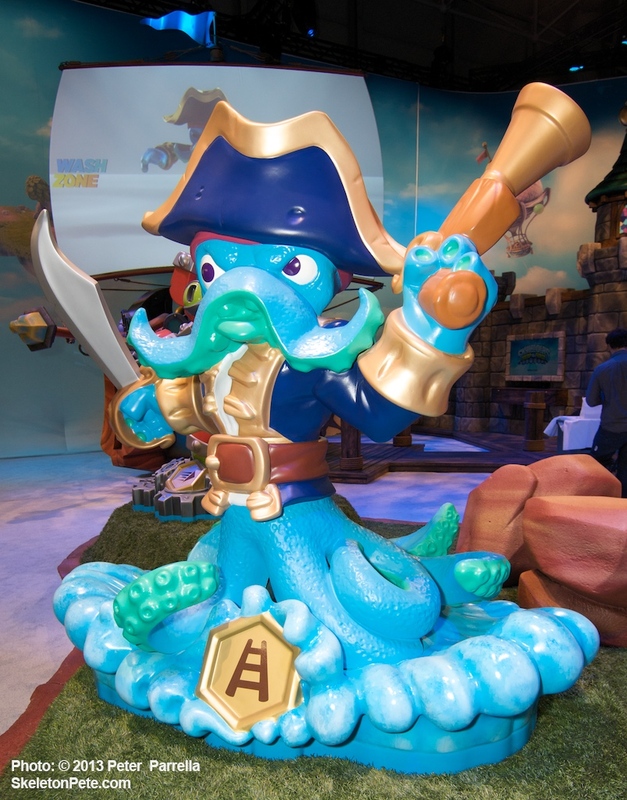 Not happy to rest on their kudos, Activision revealed their next steps at a massive Skylander booth during the 2012 American International Toy Fair. 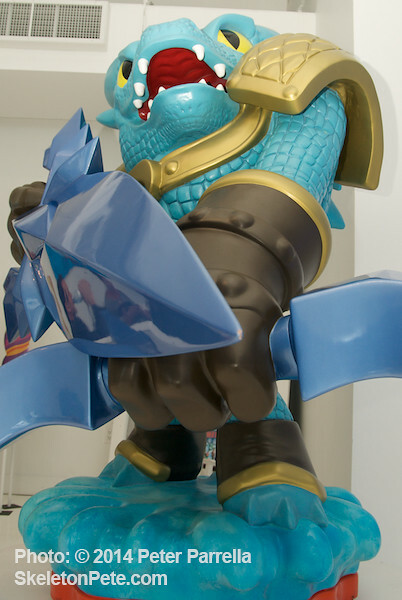 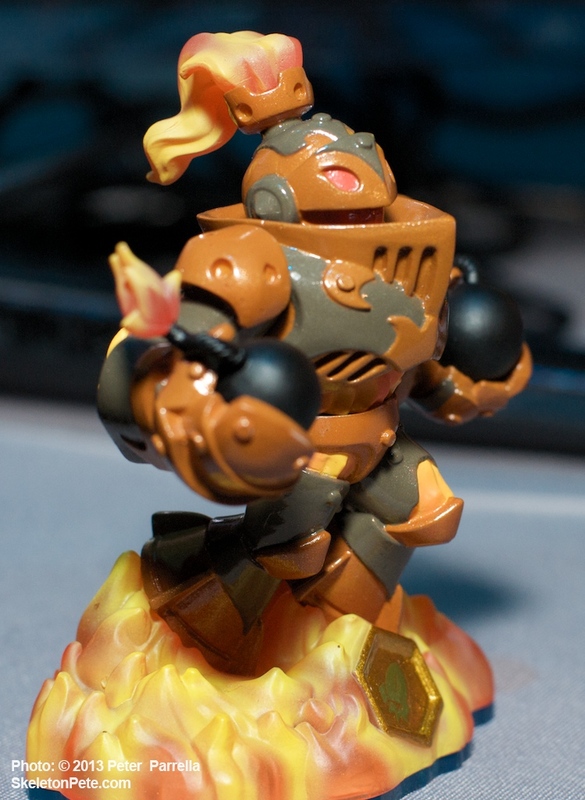 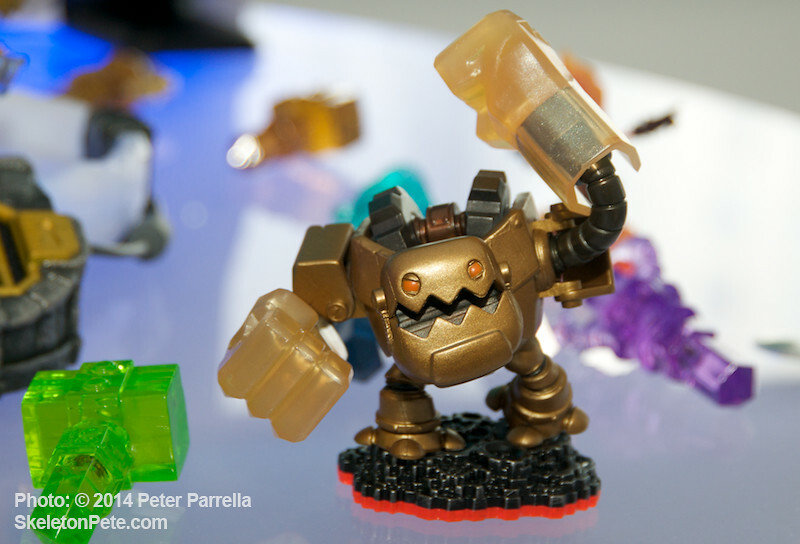 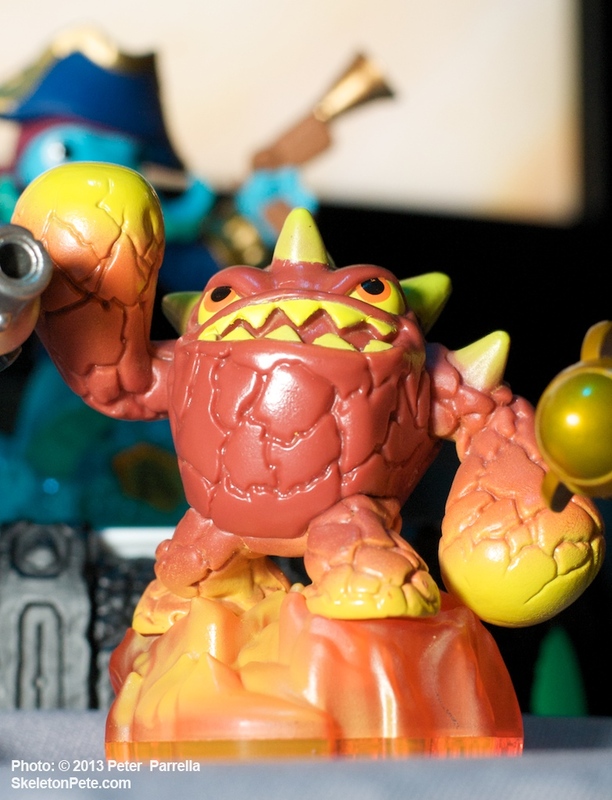 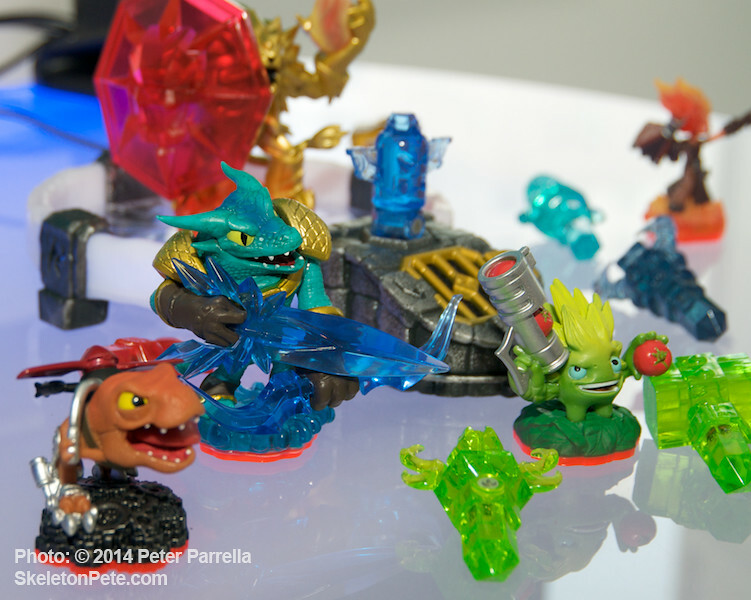 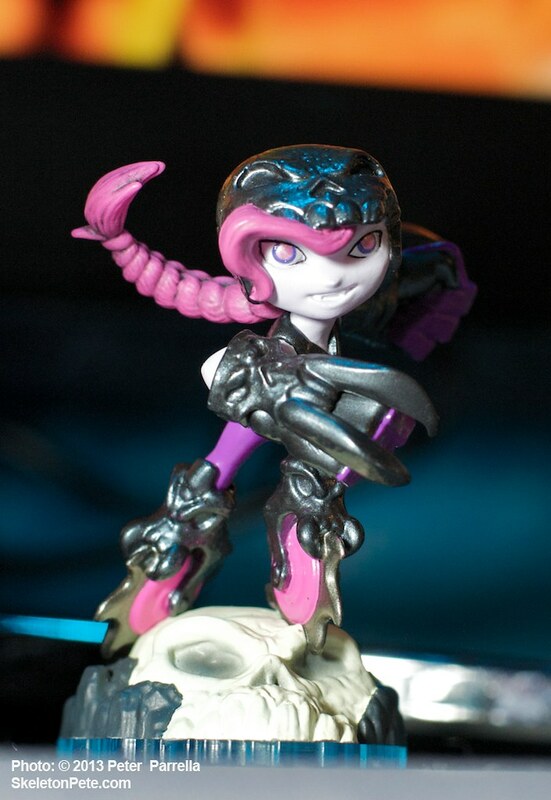 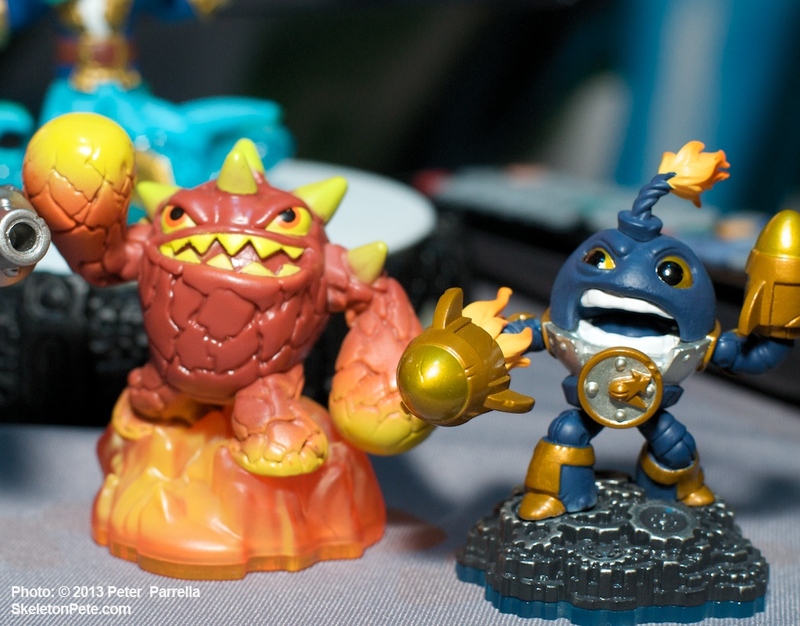 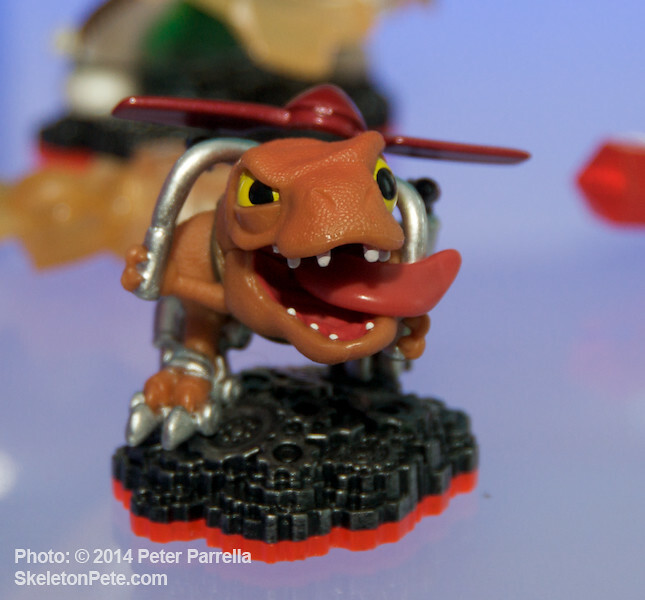 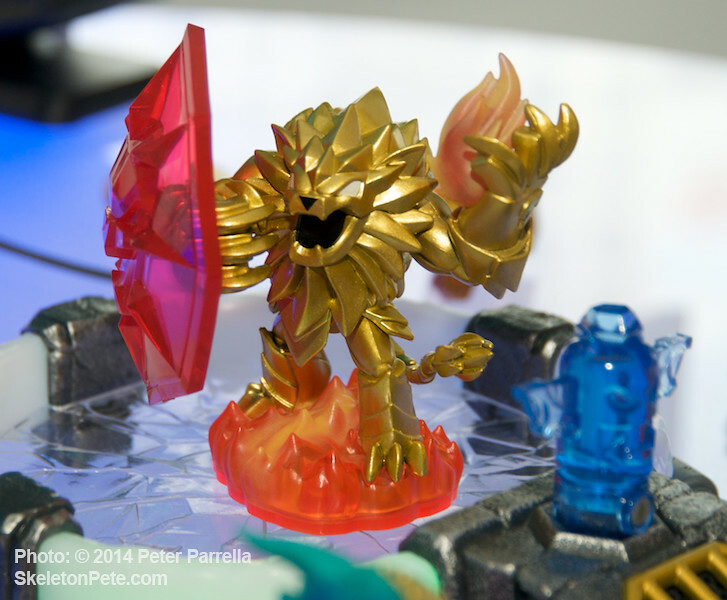 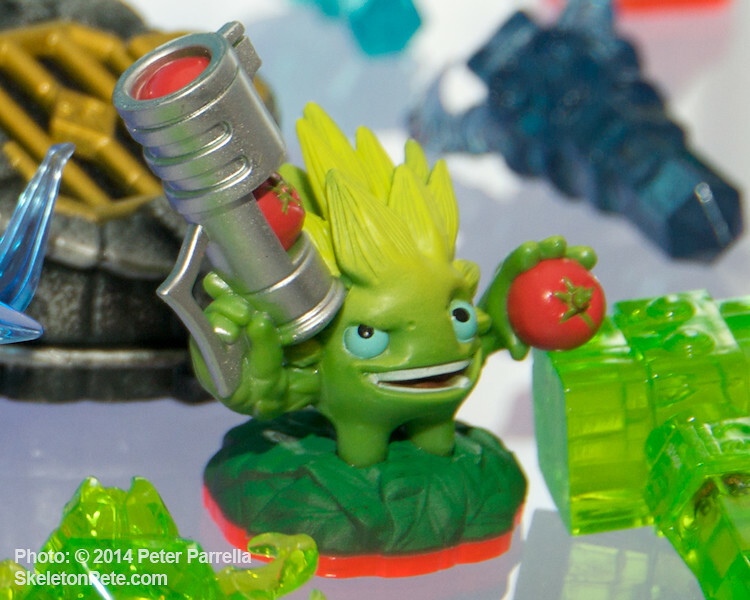 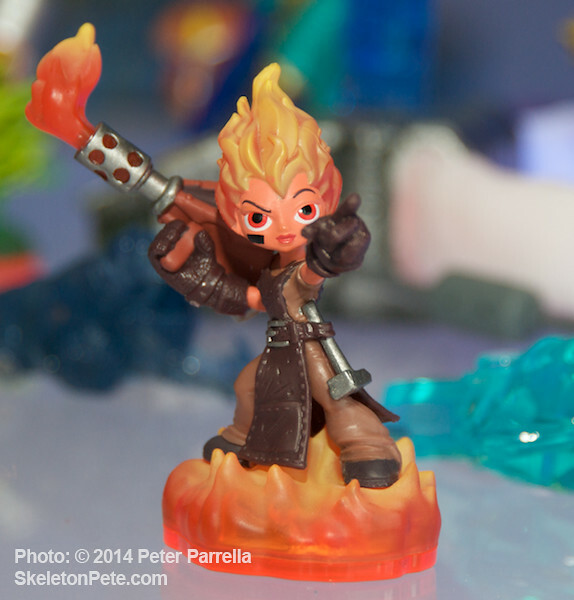 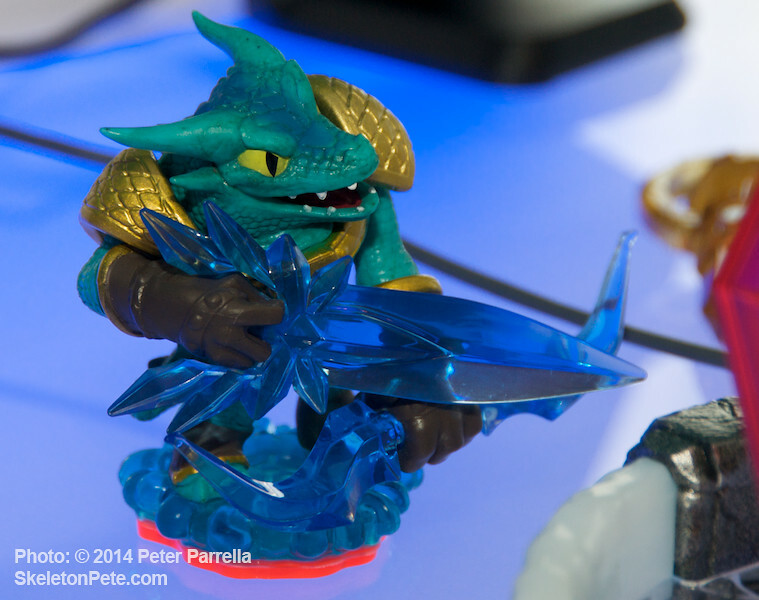 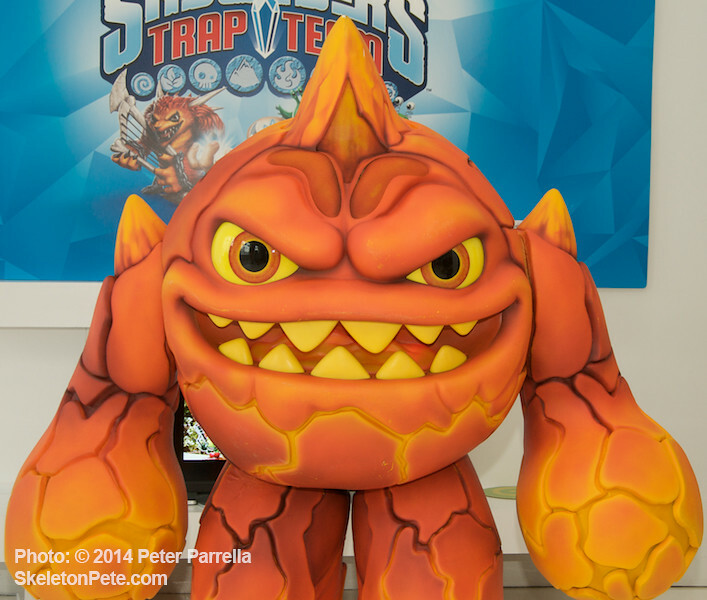 “Skylanders Giants” will up the ante in the fantasy gaming world with some big brother figures that have abilities beyond the original team. 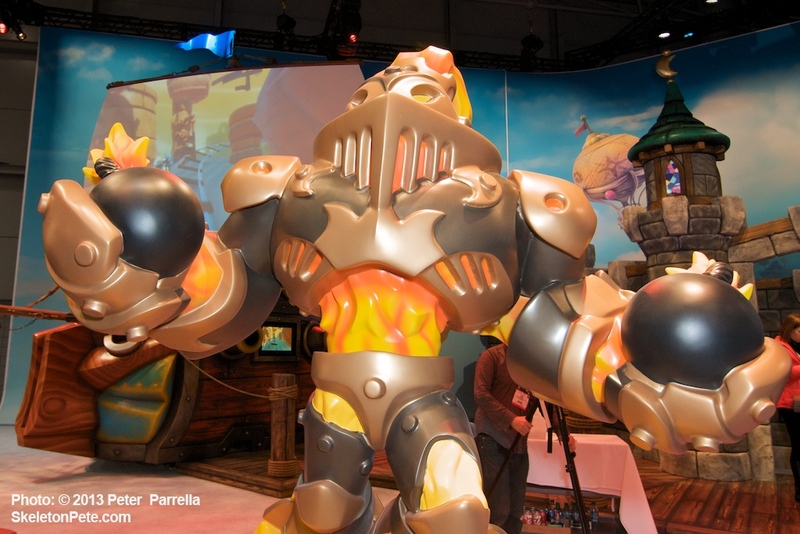 Huddled behind a massive representation of “Tree Rex”, the first of Skylander Giants to be unveiled, I got a first hand demo of his earth-shaking, boulder moving, rock throwing, game action from the Activision reps. 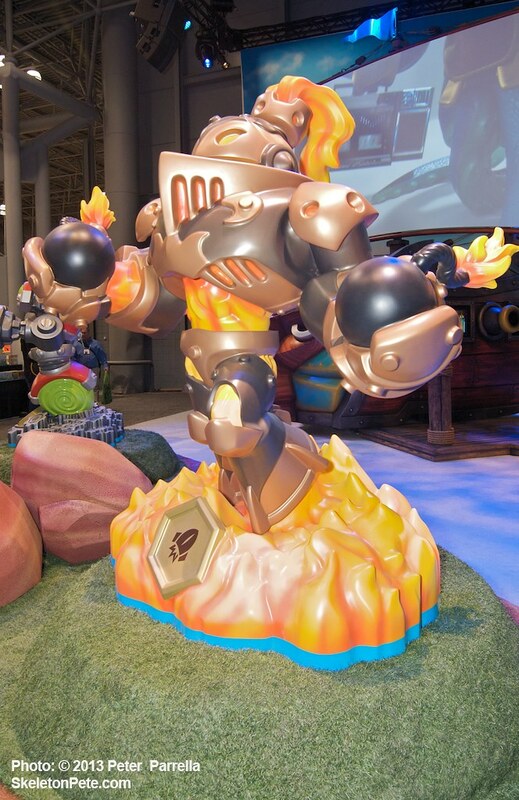 Though the new figures will not be backwards compatible with last year’s game, the good news is that all your current play pieces, with their hard earned skills and upgrades will transfer to the Giants platform. 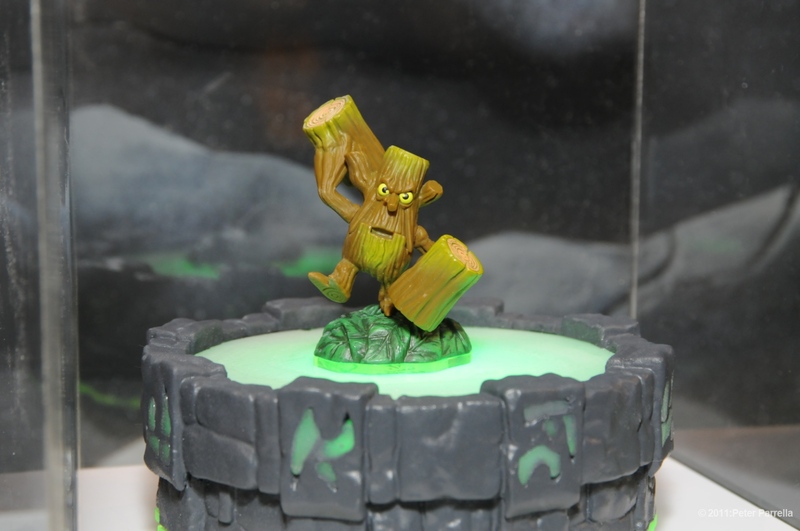 The 8 new giants are not the only figures on the horizon as Activison also adds luminescent properties to some new characters and revamps some existing ones. 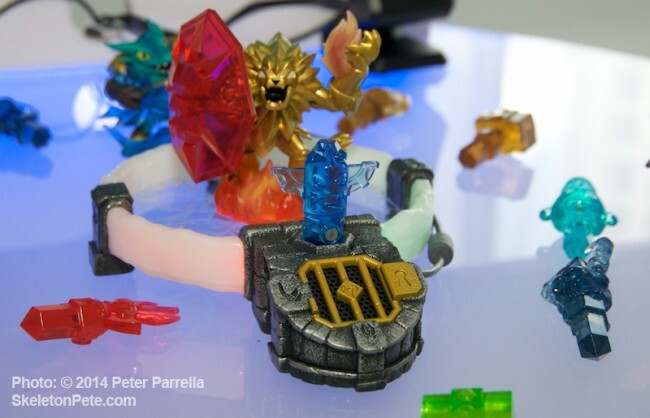 Put these “Lightforce” gaming pieces in proximity of the Portal of Power and watch them light up, no batteries required. 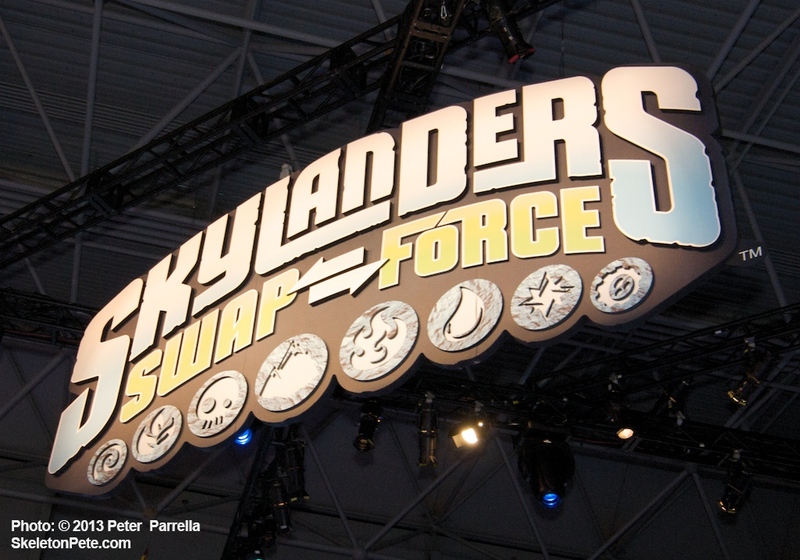 Expected to hit the market in September 2012, the expansion looks certain to be another winner. 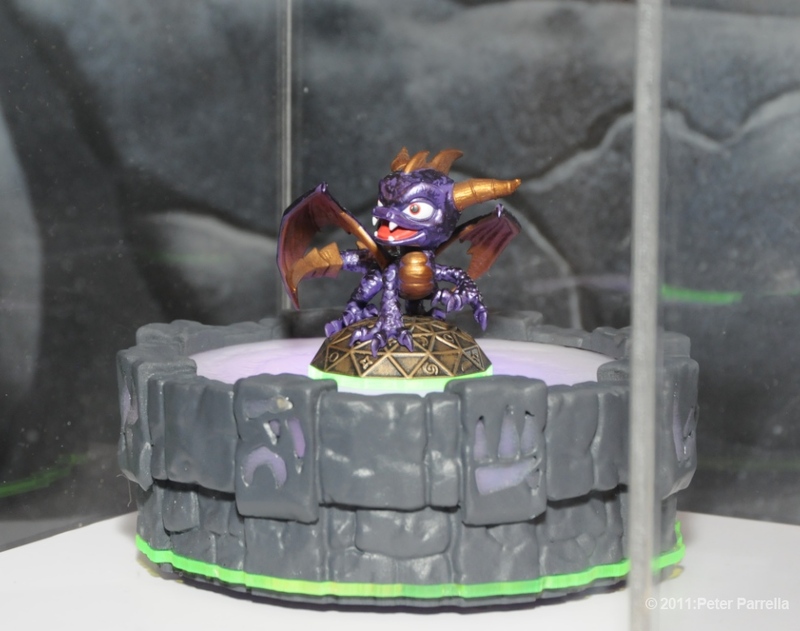 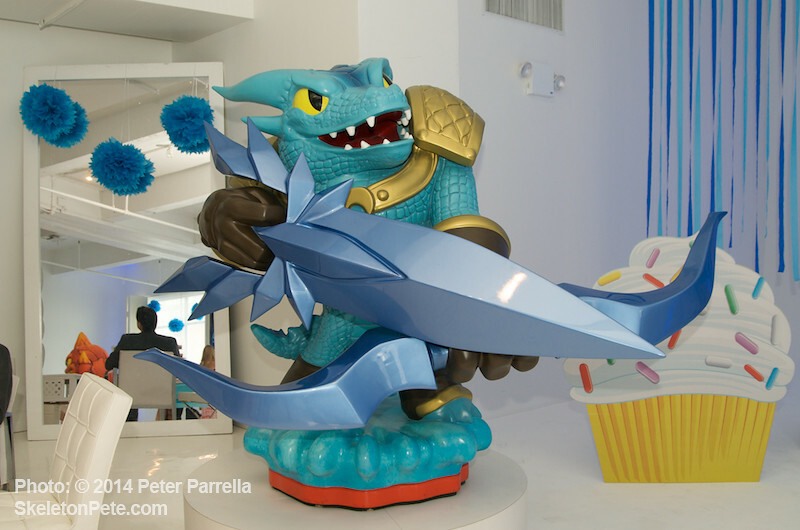 Another really awesome experience at Toy Fair 2011 was getting a sneak peak at Activision’s new “Skylanders, Spyro’s Adventure” video game. 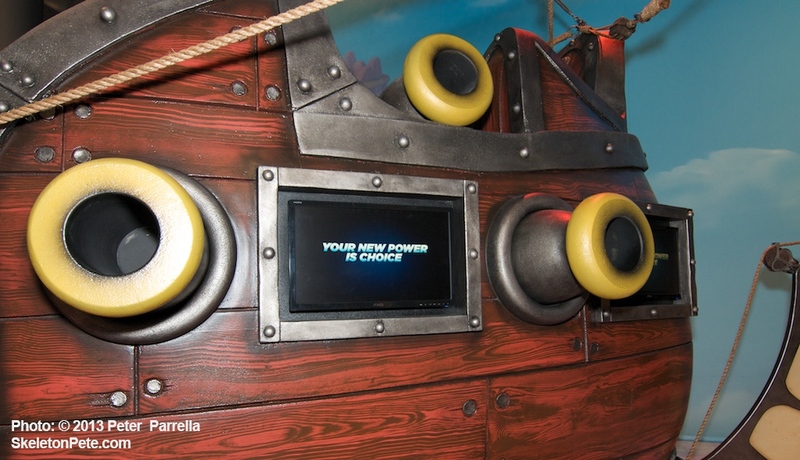 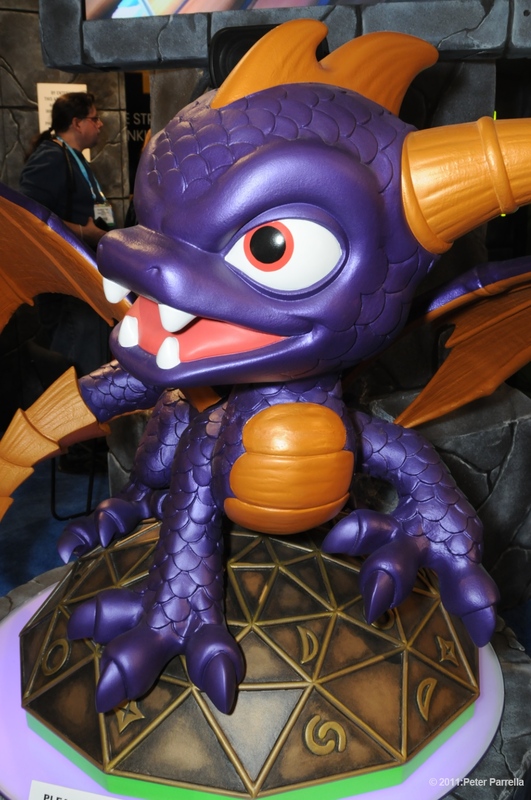 Their booth was totally dedicated to debuting the game and featured giant replicas of the game pieces, including the familiar Spyro the flying purple dragon. 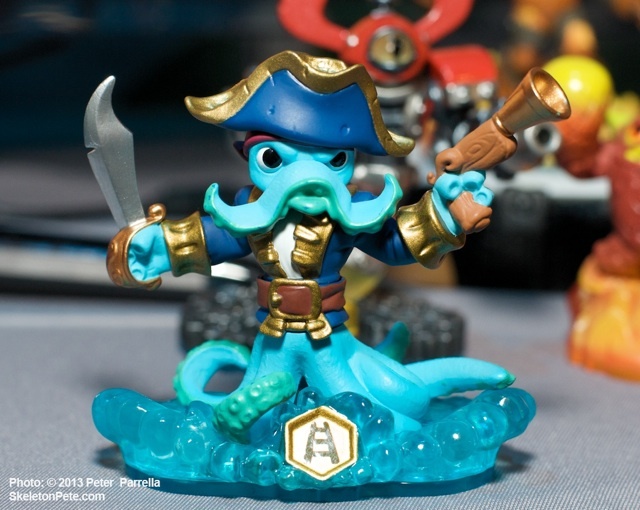 Developed by Toys for Bob, the game is an imaginative and immersive adventure with puzzle, treasure hunt and battle components. 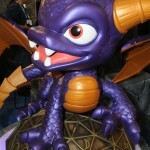 What sets it apart from other games are it’s collectible figures each representing a character from the virtual world. 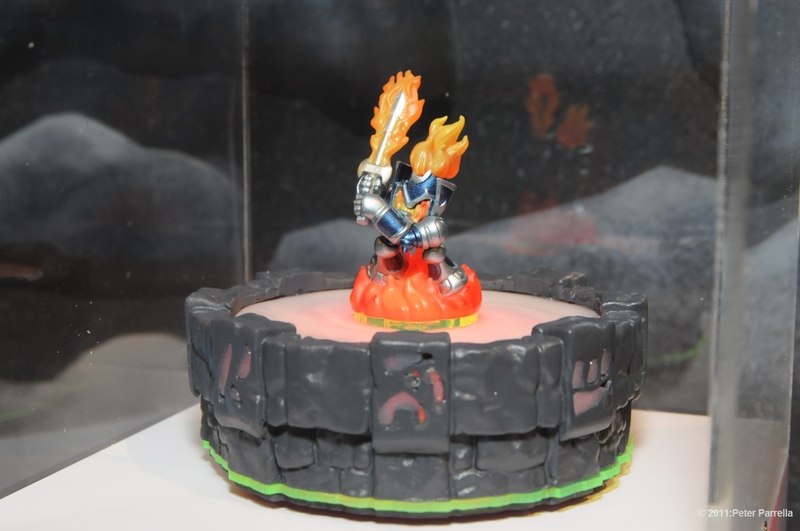 These beautifully rendered miniatures can be “put into play” by placing them on the circular “portal of power”. 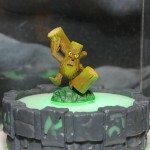 Each has a unique set of abilities which can unlock different worlds or accomplish different tasks. 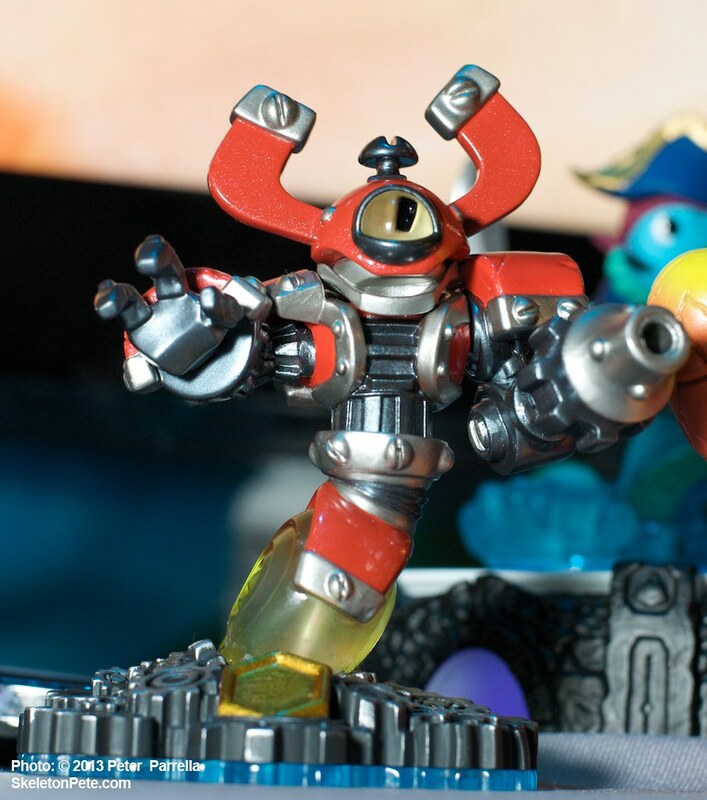 Most importantly every toy figure has embedded tech which “remembers” its achievements inside the game and those level-ups and experiences travel with the toy. 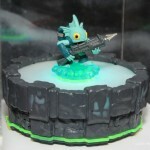 Players can place a maximum of two characters at a time on the portal and play cooperatively or in battle mode. 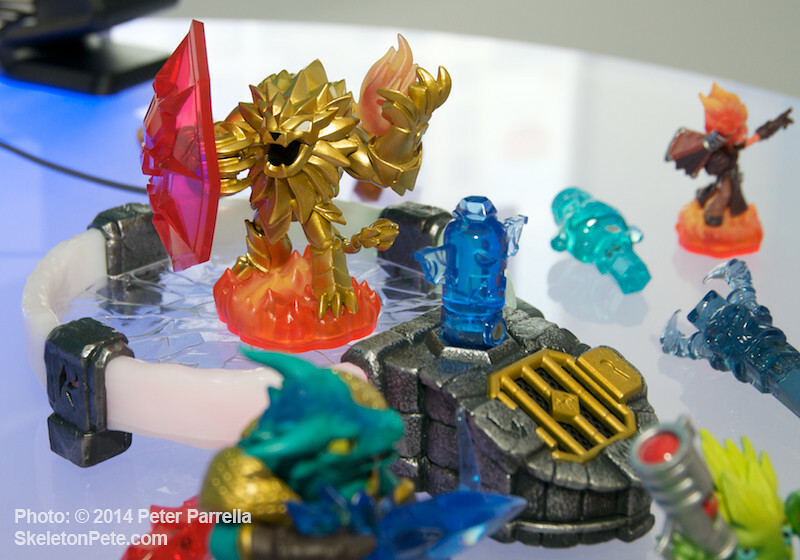 Characters exit and enter the game simply by placing or removing them from the portal base giving the player an opportunity to call in creatures as needed for their special masteries. 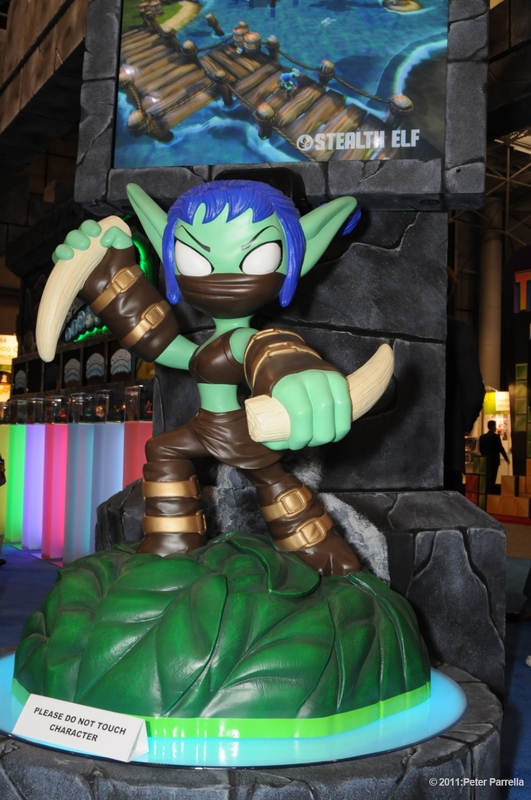 It this manner game play varies endlessly based on which characters are in play, what tasks attempted and the level of each game pieces’ achievements. 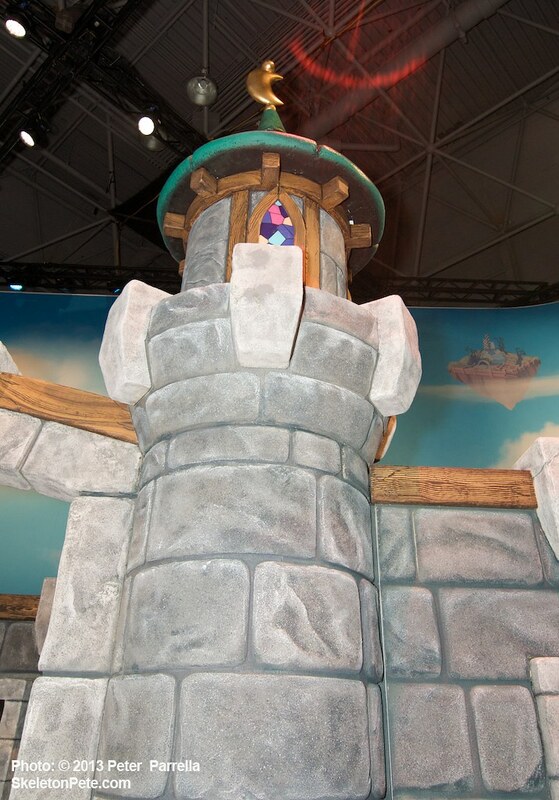 For instance, a friend who owns a character you do not, may be invited over to help unlock a new level or complete a task. 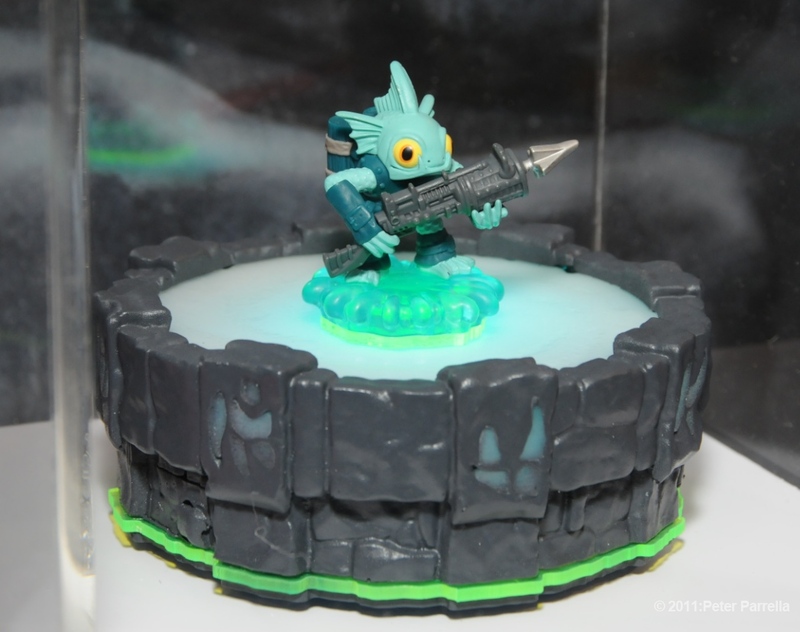 There will be over 30 characters to collect and use in gameplay, including Terrafin, Chop Chop, Gill Grunt, Trigger Happy and Stealth Elf. 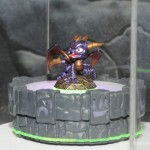 The game is set for release in fall of this year and will ship with Spyro, 3 other characters and the portal base, which resembles a castle turret. 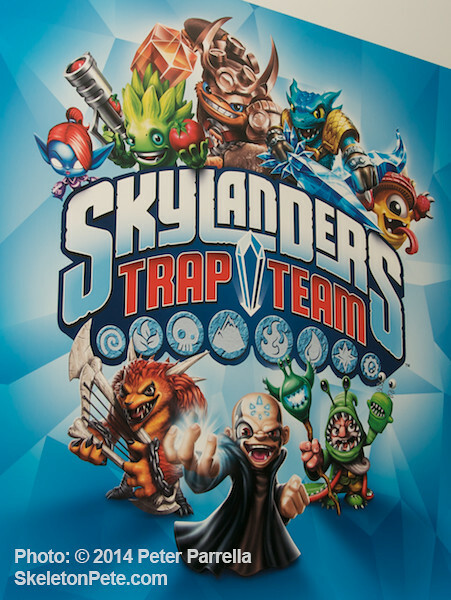 The game is scored by movie composer Hans Zimmer but Activision opted for AC/DC’s “Thunderstruck” as the soundtrack to the promo video. 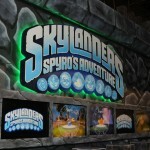 While aimed at a younger audience is not hard to believe older siblings and even parents will be charmed by the chance to pop a figure on the portal and take a trip to Skyland. 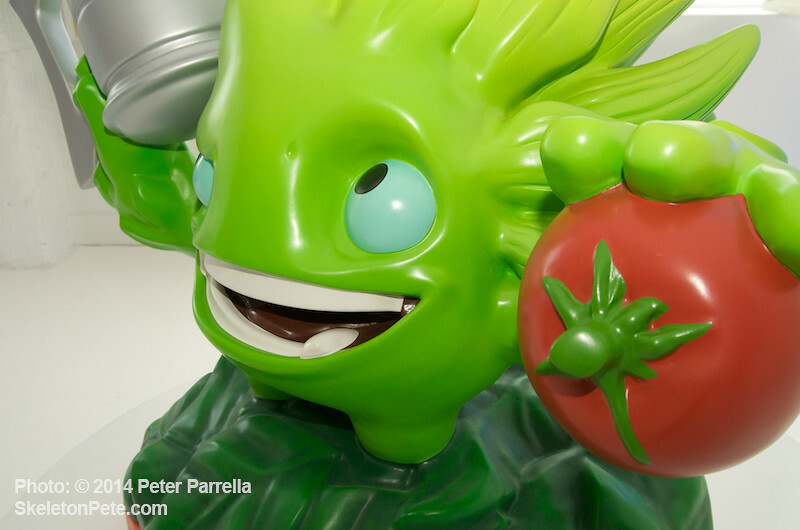 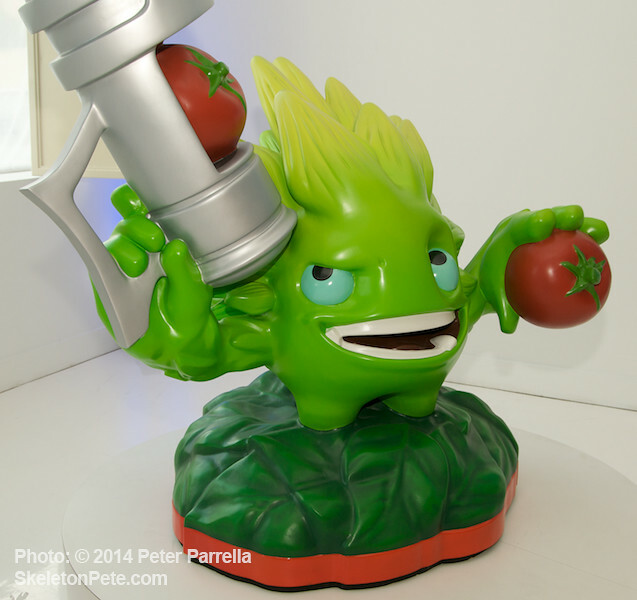 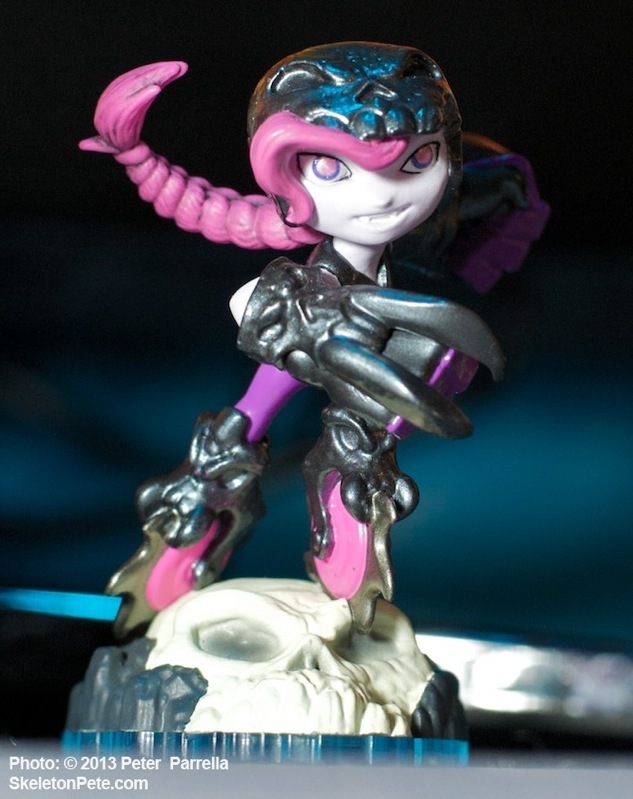 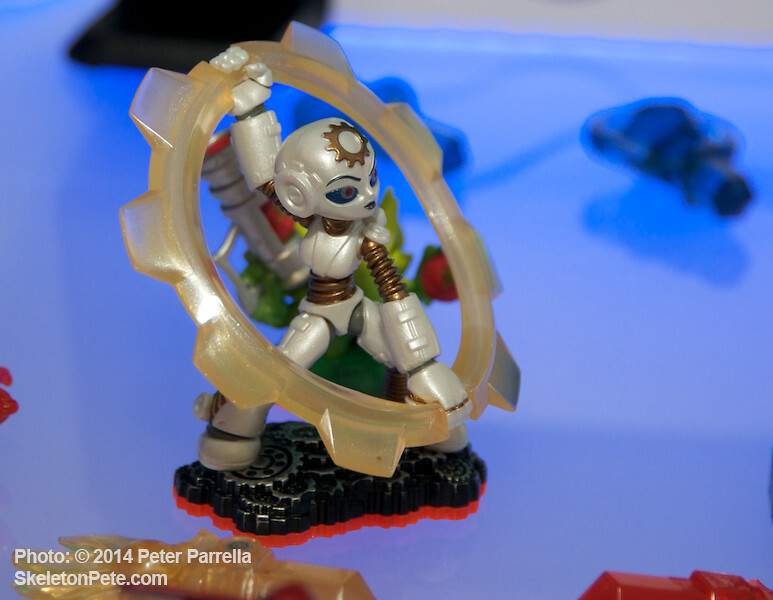 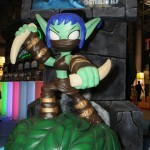 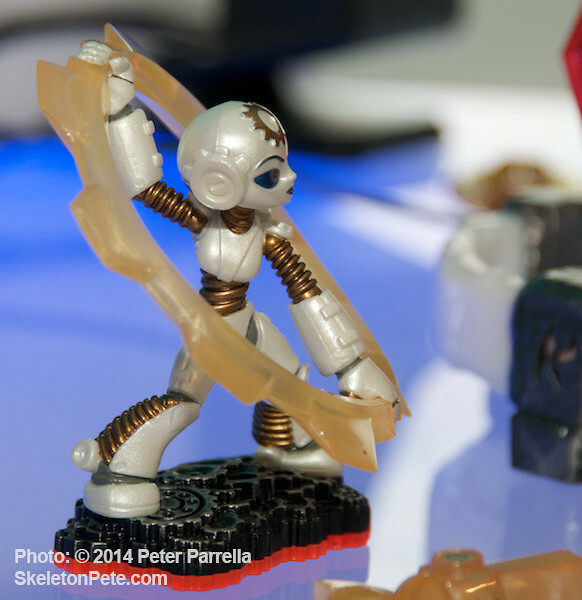 See PiercingMetal’s Toy Fair 2011 Features here. 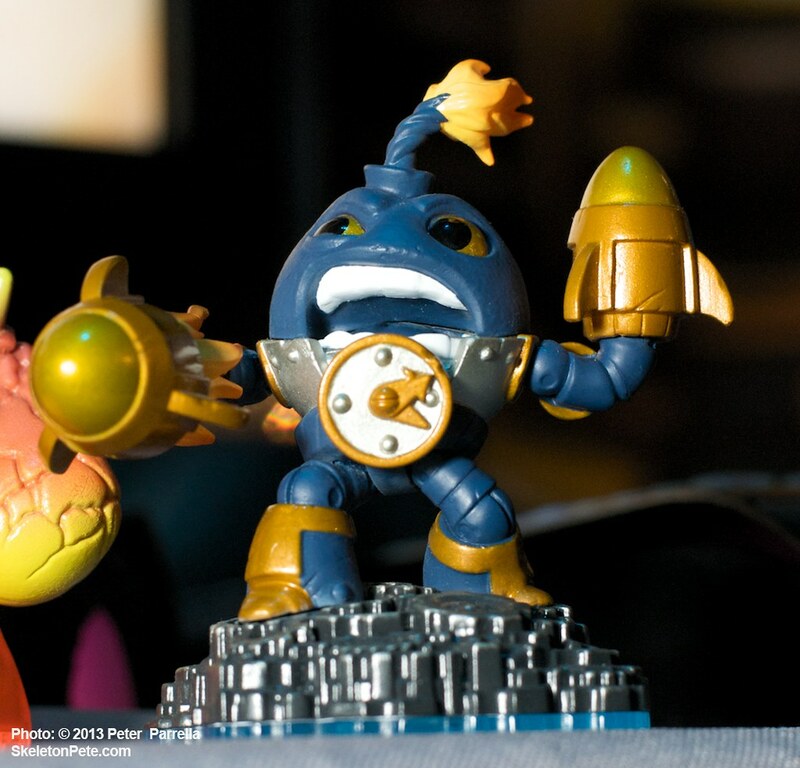 Click any photo to launch lightbox display.